Iconic singer Prince surprised fans recently by dropping a brand-new song "What If?," which is a cover of Nichole Nordeman's Christian song. 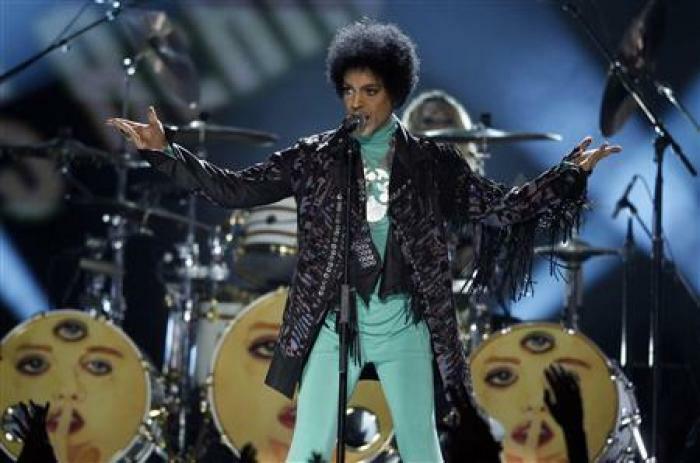 The "Purple Rain" hit maker kicked off the U.S. leg of his Hit & Run tour in Louisville, Kentucky on Saturday and a day prior to announcing the concert, the singer premiered his new track on Louisville radio station WFPK. Nordeman, a Christian artist, wrote and recorded the God-glorifying track five years ago. She expressed her delight in a heartfelt Facebook post. "I don't really have the appropriate words for what an honor this is," wrote Nordeman about hearing Prince cover her song. "... Prince heard a song about the transforming love of Jesus on Christian radio and now has given it a much wider audience than I ever did or could." The song features vocals from 3rdEyeGirl drummer Hannah Welton, which Nordeman hailed as "killer." Welton, who is a native of Louisville, is a member of Prince's rock band and she is joined by Canadian guitarist Donna Grantis and Danish bassist Ida Nielsen. She was discovered by Prince via YouTube in 2012 and she previously spoke about being unafraid to proclaim her faith in Hollywood, despite being a member of a band that produces secular music. "I'm never scared to talk about my Jesus...," Welton once told the Christian Post. "Everything I do, whether it's music or dance or writing poetry, I do for God and for His purpose and for His will in my life." The Chicago-based drummer was saved in 2010. She said that while some Hollywood artists will shy away from speaking about faith and spirituality in attempts to avoid sparking controversy, she enjoys sharing the Gospel and sometimes discusses religion with Prince. "Joshua [my husband] and I are always open and willing to talk about our faith. We talk about it quite often with the girls and with Prince," she shared. "It's always really healthy conversation. We never want to come across like we're pushy and judgmental, or like we're trying to force it on people. The most effective way to minister to people is through your lifestyle and we say all the time that your life could be the only Bible the people read." Last year, Prince, 56, dropped two albums, Art Official Age, and Plectrumelectrum, with 3rdEyeGirl.